We are a one-stop wholesale distributor and we are open to the public. With so many places around town to purchase landscaping materials, why not go to the one place that offers competitive pricing and delivery to your home or business. TMI Landscaping Materials is a locally-owned and operated business that is proud to a part of the South Shore community and takes the hassle out of landscaping. We not only supply landscaping materials to retail residents, but also to landscapers and general contractors. Established in 2002, TMI has grown from a landscape supplier to a full service landscaping company. 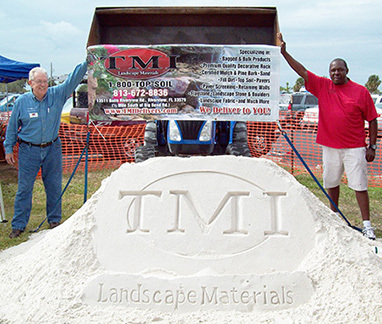 TMI offers a variety of landscape supplies from landscape fabric, decorative rock, boulders and gravel to a variety of mulches, dirts and sands. Most of our products are available by the bag and in bulk by the cubic yard. We also carry a large variety of other home products such as retaining walls and the rock for fountains and waterfalls. 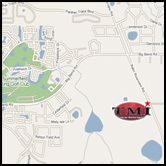 Whether you are a contractor or a do-it-yourselfer, TMI is your one stop for all your landscaping needs. "We deliver the best service, the best products and the best prices in town!" Tampa Gravel, Rock and Mulch Supplier. We Sell & Deliver all types of Rock, Sand and Gravel!